Can you explain how Field Notes came about? We met and began working together whilst studying on MA Curatorial Practice at Falmouth University. We spent a lot of time working together and discovered that we make a good team! The course was incredibly intensive and required a combination of clarity of thought, theoretical understanding and practical nous that meant our practices were hugely strengthened when we combined our skill sets. We’re both passionate about understanding the context of a project - why it should happen, now, in this place and what local and cultural history makes it a good idea, or challenges it. As well as seeking to really understanding who its for; creating opportunity for audiences to access current, high quality art from around the world is another starting point for our projects. 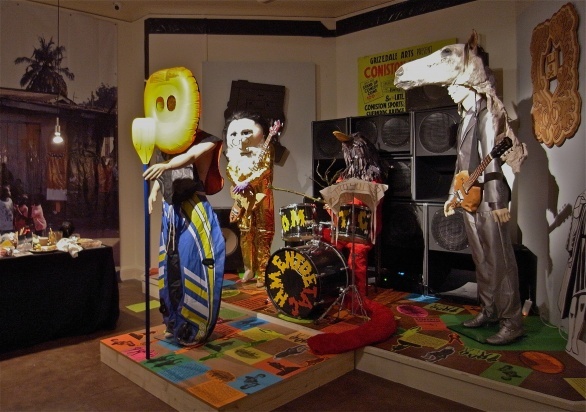 Since then you've been involved in curating a few shows, like 'Para-meters of the Dark' in Helston and 'Rituals Are Tellers Of Us' at The Newlyn Art Gallery. Can you say something about the ideas behind the rituals show? 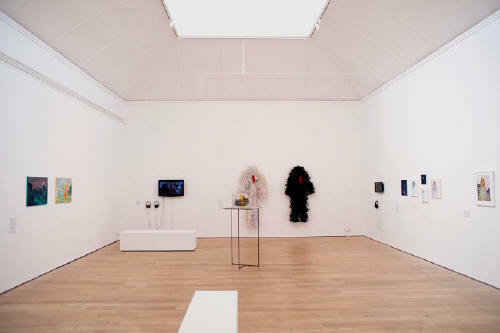 Rituals Are Tellers of Us (right) was actually curated for Newlyn in 2013 as part of our MA and was a real eye opener, particularly with regards to dealing with systems some of larger institutions and established artists use. The exhibition was developed with our fellow students Rosie Leo, who has been working at ACT, and Keziah Hughes, who is working in Kent. The show was a contemporary art celebration of folk traditions and explored the necessity of ritual as a way of creating community; through storytelling, communal actions, the airing of fears and establishing of myths that help to preserve rural culture. It seemed like an appropriate way to link elements of the fabric of Cornwall with ideas being developed by local, national and international artists - an interesting way to see the parallels and distances created by people; simultaneously shrinking the space between communities and breaking open the ways in which we find to communicate and share ideas. Those core ideas have very much stayed with Field Notes - ideas around collaboration and community remain as undercurrents to many of the projects we develop. The recent Inland Art Festival was probably your most ambitious project. Can you describe it? Inland has definitely been our biggest project to date, in so many ways. Presumably as curators, quite a lot of your time is spent doing research. 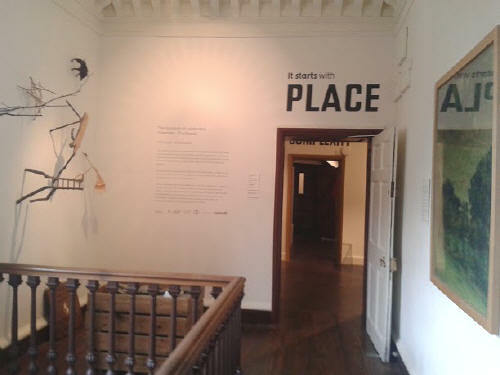 You went to the Venice Biennale in 2012, and visited Adam Sutherland in Grizedale more recently. What did you see up at Grizedale? One thing we firmly believe at Field Notes is that the work we celebrate and support has to be able to relate to, challenge or engage with a wider cultural conversation as well as sit within the community where it sites itself. The practices that we encounter in Cornwall bear just as much weight and relevance as work made in the metropolises that are commonly seen to make up the art world. One way we make sure that we stay switched on and aware of what’s happening is to visit, talk about and talk to the people and places that are advocates for this kind of independent practice. In 2013 we visited Venice and spent a week scouring The Biennale for ways that a native community, an art aware transient audience and an ever present tourism sector can have their perceptions challenged, their awareness heightened and their experience enhanced by contemporary art on a hyper-scale! It was a brilliant experience - the sheer mass and generosity of ideas and knowledge was a joyous whirlwind to be swept up in. 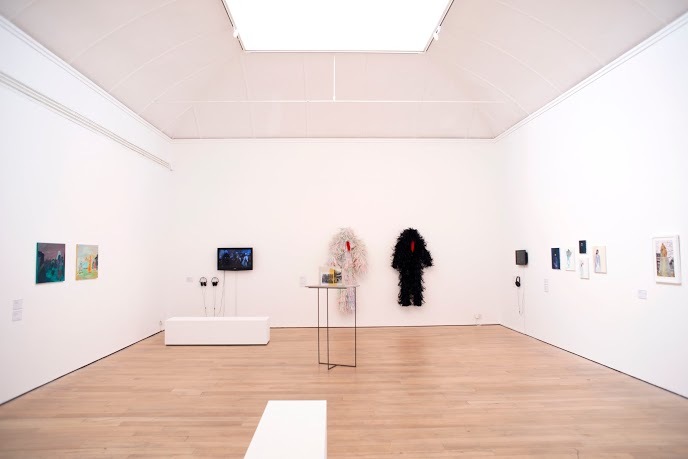 At the end of last year, we visited Grizedale Arts up in the Lake District; it was a very different experience but it held its own mantle of generosity, relevance and humour. The focus of our visit was to see The Nuisance of Landscape - a retrospective showcasing Grizedale’s output since 1999 (below x2). This charted their move out of the forest and into a village, as well as notable forays into arts organisations and communities around the world. The exhibition was held across multiple venues; an arts and craft house, a stunning regional museum and The Coniston Institute’s village hall. It was an aesthetically exquisite and fascinating journey into arts’ ability to be useful whilst remaining challenging and culturally interesting in the broadest possible sense. It was also a great example of how conventional and alternative institutions in an area can work together to reach a wider audience. We also got the opportunity to have a cup of tea and a jaffa cake with Adam Sutherland and take a look around Lawson Park, their stunning residency centre. In what ways are Cornwall and Cumbria, and the cultural context of both places, alike? Did your visit help you see Cornwall differently? The similarities between Cornwall and Cumbria played a big part in our decision to travel to Grizedale. Before we went they seemed obvious; two areas of England renowned for their beautiful scenery, where tourism is the primary industry and which are similarly remote from the cultural centres of London and other large cities. However the more we explored, the more differences we found. The Lake District is much more rural and significantly, the cultural history is predominantly literary rather than art based. Perhaps as a consequence, they don’t have anything like the large scale community of artists who are living and working here, in Cornwall. What are the challenges for artists, curators and 'cultural producers' of all kinds if they live in Cornwall or other relatively remote places? Perhaps the biggest challenge is to not feel the need to justify or measure practices against a mythical yard stick created from perceptions of the London Art Scene. It’s essential to building up the understanding nationally that artists in Cornwall (as well as in other rural areas!) are producing a huge range of critically relevant, culturally engaged and cutting edge contemporary work. Then, of course, there are the geographical challenges - Cornwall is made up of dispersed communities - access (transport, cost, time) is always going to be an issue and so far there doesn’t seem to be a single golden answer. Perhaps Art Cornwall can present itself as one solution - as a free, easily accessed and comprehensive platform to showcase the bounty of things that take place here. Cornwall has a huge advantage over other rural areas - cultural production is thriving here, there are more artists, makers, writers, thinkers based in Cornwall than anywhere else in the UK, outside of London - and thats fantastic, so dispersed yes! Isolated - absolutely not! The challenge is in finding the right platform or platforms, digital or physical to create a rhythm that cultural producers in the region can all tap along to. The internet has become a huge resource for rural practitioners but it is an ever shifting, growing, changing resource which needs to be harnessed into something productive. Have you got any new projects in the pipeline? Always! 2015 is looking to be a busy year, kicking off with a programme of events and an exhibition of newly created, site specific work at Penryn Museum in May. We’re really excited to be working with two young artists, who Field Notes commissioned to create work for the Museum as part of the national scheme, New Expressions 3. The artists involved, Matthew Bennington and Richard Baines, are both Falmouth graduates who went on to study at the RCA. At the end of last year they came down and delved into the museums wild and wonderful collection of uniquely personal and historically significant objects, as well as picking the brains of one of the founders of the Museum, Shirley Richards. So we can’t wait to see what comes of their visits. We have a couple of other unusual projects in the mix but our lips are sealed until they are a bit further down the road!